BOLD conditions agents with powerful mindset exercises, language techniques, and lead generation activities. Choose ABUNDANCE for YOUR life. Embark on a LIFE-CHANGING transformation during this seven-week JOURNEY by creating a Life by Design. BOLD conditions agents with powerful mindset exercises, language techniques, KW Technology adoption and lead generation activities. This transformative program increases sales through the relentless pursuit of leads and business-building activities. Discover the transformational results BOLD will have on your life and career. Choose abundance for your life. Last year, BOLD graduates INCREASED their CLOSED TRANSACTIONS by 50% and INCREASED their INCOME by 114%. Donate towards the BOLD Scholarship Fund to help someone in need. "I have taken BOLD 10 times and don't plan on stopping. The transformative mindset exercises every part of my life." "BOLD gets me excited about getting back to the basics. The basics allow me to hire talent to help me grow my business. BOLD gets people in the right mindset to focus on the right activities that will take their business to the next level." "BOLD stopped being about real estate after the fifth time and became about mindset." Are you committed to transforming lives and businesses by becoming a KW MAPS Coach? How can I bring BOLD to my area? Can I enroll in BOLD if I'm not a Keller Williams associate? If you have the intention of joining KW or if you've been personally invited by KW leadership, yes you may enroll in BOLD. However, you will not be able to register yourself through the website. Please contact the BOLD Client Care team at 512-327-3070 for assistance with getting registered over the phone. How do I receive my reimbursement once I have transferred my registration? All transfers are requested through the BOLD Coach. You will personally collect the cost of your registration from the person transferring into your spot. After your initial registration is complete, you will receive an automated confirmation email. Within the confirmation email there is a live link to your registration record, click on the link, at the top of the screen click on the 'Receipt/Invoice' box, this will open your printable receipt. How can I receive the materials for the step I missed? The BOLD materials are distributed in the BOLD classroom only and electronic/soft copies are not available. You must be present in the BOLD class to receive your materials or you must arrange for someone to pick up your materials for you. Please inform the coordinator at check-in that you did not receive the previous week(s) material. How can I register as leadership? To register as leadership, you must currently hold a leadership role in your market center, you cannot be an active agent, and there must be a minimum of 5 agents from your market center already enrolled for Steps 2-7. If all of these apply to you, please contact the BOLD Client Care team at 512-327-3070 to receive the leadership rate. What are the BOLD Terms and Conditions? Registration is NON-REFUNDABLE. Registrations can be transferred to another associate not already attending the event, only when transfer is completed prior to Step 3. The transfer credit can only be used once. The transfer credit cannot be used for a future offering of the same or any other event. Transfer requests must be made in writing via e-mail to BOLD@kw.com. Please include in e-mail the BOLD Location name, name of current registrant, and the new name and email address of the person the registration is to be transferred to. Registrants who do not provide notice of their inability to attend prior to the event will be noted as "no-shows", and will not receive a refund; thus forfeiting their right to transfer their registration to another associate. 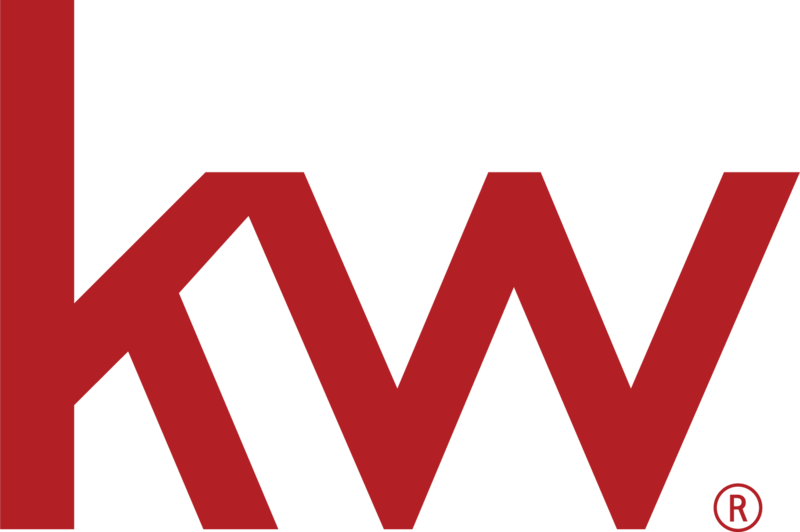 All financial transactions regarding registration transfers are the responsibility of associates, KWRI assumes no responsibility for any transfer payments. Event speaker, schedule, and venue are subject to change. Who will be the coach for our BOLD? BOLD is delivered by a coach hand-picked by KW MAPS Coaching. Every coach meets a standard set by KW MAPS Coaching and is based on past real estate sales experience, coaching experience and other factors. How much will I pay to register if I choose to wait and register after First Step to BOLD? Leading up to and during the First Step To BOLD day the registration price is $799, at midnight that price increases to $849 up until seven days prior to Step 2, when the price increases to $899. Is there a discount since I’ve already taken BOLD before? The registration is the same no matter how many times you have taken BOLD before. You may check with your MC to see if they are participating and offering a BOLD reimbursement plan. Is there a reimbursement policy in place? Each market center establishes its own policy and so you will want to speak directly with your Team Leader concerning your policy. Do husband and wife teams pay as one or two registrations? Husband and wife teams are treated as two separate participants and therefore they pay for two registrations. Is there a payment plan for the registration cost? The minimum number for each BOLD location is 40 paid registrations. The maximum number of students for any one BOLD class is 110, including leadership. What if I have a previously scheduled vacation that will conflict with one or more of the BOLD steps? Naturally, missing any portion of the overall program will mean that you miss key information which is only gained while in the classroom setting. Step 2, which is the first classroom after the First Step to BOLD, is the most critical because this is where we build teams and establish the commitment and expectations regarding the program. Missing Step 2 should be avoided if at all possible. If you miss a week between Steps 3-7 your team captain will make every effort to assist you in catching up on the missed exercises or classroom information. Keep in mind that missing a week does not preclude you from participating in BOLD and completing the assignments for that week. If you are going to be absent, please email the BOLD Coach in advance letting them know the date and reason for your absence. Can I attend in another area or do I have to participate where my market center is located? You are encouraged to attend in the location that is most convenient to you. However, once you register for a location you must continue to attend at that location and may not transfer mid-way through the program to a different location. If I miss a week, can I make it up in another location? As a rule, there is not a way to “make up” any missed weeks. Much of what we do in BOLD is experiential and often times involving your team. Some coaches may allow a participant to “sit in” at another location; however, as a general rule this is not advisable and is up to the coach on an individual case by case basis. Can I bring a guest with me to BOLD? Guests are encouraged at the free First Step to BOLD. After the First Step, it is up to the coach on a case by case basis if a guest will be allowed. Should I have my buyer’s agents attend BOLD? Yes. It is highly recommended for rainmakers to attend with their team of buyer agents. When the entire team participates in BOLD, everyone grows together and is working from the same “play book”. Naturally, buyer agents can attend with or without the rainmaker, although our experience is that it is better when all players are involved on a weekly basis together. What if I don’t make 100 contacts in a week, do I foul out of BOLD? The intention in BOLD is not to create a model in which you don’t succeed. The goal is to condition you to have productive habits which will create a consistent and steady stream of income for you throughout the year. If we show you how and give you the tools and scripts for making 20 contacts per day, are you willing to put aside any limiting beliefs you have around this and trust the program that has caused thousands of agents just like yourself around the country to be BOLD believers? When do I get my BOLD materials? When you arrive at Step 2 you’ll receive a BOLD binder kit and the workbook materials for that step. Each week as you arrive and check-in you will receive the workbook materials necessary for that particular week.